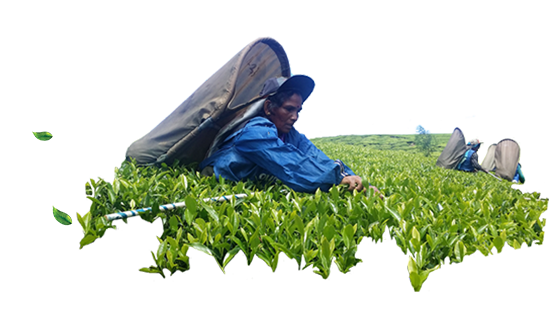 The historic legend of Tea runs back to thousands of years spanned among various cultures. Accordingly the beginning starts in Yunnan, China during the Shang Dynasty (1500 BC–1046 BC). They have consumed tea as a medical drink which later became a popular beverage among the people all around the world. But it has been mentioned in a medical text written by Hua T’o, that tea has been introduced to the priests in Portuguese and merchants in China during the 16th century. It took one more century for the Great Britain to popularize tea among their natives. That was the time that the competition versus Chinese monopoly on tea began in England. The initiation of importing tea in to Britain started in 1660s with the marriage of King Charles II who married the Portuguese princess Catherine of Braganza. This queen brought the habit of drinking tea to the court which eventually became a habit of majority in the court. One main successful product which East Indians brought back was tea. Though it was initially introduced as a medical tonic later it became a popular drink, albeit mainly by the aristocracy. As to prove that it was a prudent action to bring tea in to the country, in 1750 tea became their national drink. Even the royals in Britain tasted tea since the ancient times, where tea played a main role in Britain’s global trade. That’s the expansion on tea in Britain in brief. This glorious tea story is what led us to become us. That’s one of the reasons why we say that we are proud to be who we are. Since the 18th century, British Tea lovers have conquered the title of being the largest tea consumers in the world, and proudly holding on to it until the present moment. It is believed that each citizen consumes tea an average of 1.9kg per year, drinking a cup of tea thrice a day in average. Though British differentiate their taste of tea from the common taste in China and other east countries, Englishmen are wholly grouped as tea lovers. An original cup of tea includes 90% of black tea, most of the times sweetened with milk and sugar. But now it is possible to taste various flavors in a single cup of tea infusing most loved flavors such as; Orange, strawberry, mint in a single cup of tea. To make it easier to prepare a perfect cup tea, tea manufacturers invented tea bags which contain an optimum quantity of tea dust, which became just a matter of dipping the tea bag inside a cup of hot water to prepare your perfect cup of Great British tea. British people adore tea as a beverage, and they would always offer a cup of tea when a person enters their threshold. Whenever they find a moment free from their busy schedules, they would love to prepare a cup of Great Britain Tea and sip it through the pleasing warmth. Be it a morning, a break at work, during the evening or last thing at night; British people will enjoy its seamless pleasures combining with milk, sugar or lemon added as per their liking. Though tea leaves were used as this amazing beverage by Chinese nearly 5000 years ago, it was not until the 17th century, that tea made its first appearance in the British limits. Due to the exclusiveness and the great difficulty in attaining the fine tea powder, Tea as a beverage was consumed only by the royals and the upper class individuals presenting tea as a fashionable drink during the initial stage. Gradually tea became affordable, and everyone was able to enjoy the fine taste of Great Britain Tea. Since then the passion and the addiction has passed on through many generations, which still today dominates as the most loved beverage in Great Britain.